Don't you just love how glitters transform anything plain and boring to dainty and girly? Since I have been creating nail arts with complicated designs, this time I thought of doing something even beginners can do. When I go to the mall, the first sections I go to are Nails, Clothes and Shoes. I am always on the look out for new, inexpensive and pigmented polishes. However, some of them could get too pricey. 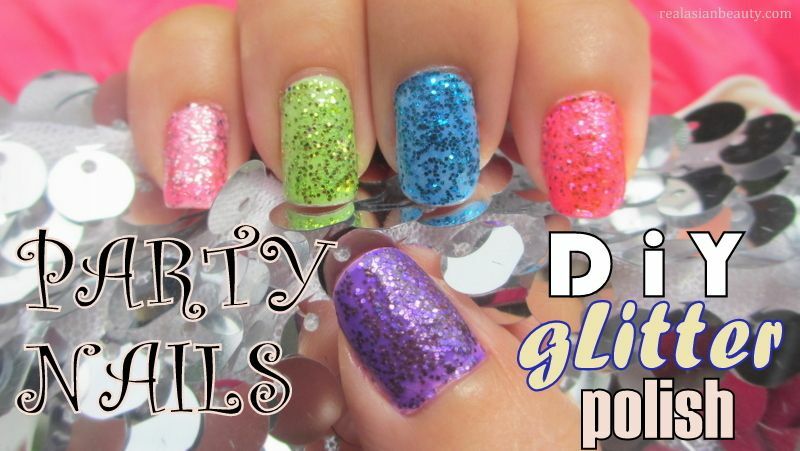 I even saw a glitter nail polish that looks so regular that sells for P395! For this project, I only spent P34 for the 6 color glitters. I got it at National Bookstore. 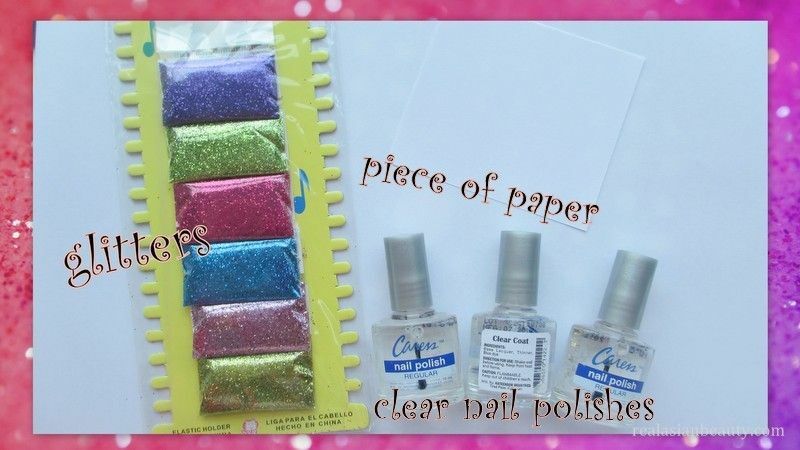 P20 for each clear nail polish, I bought 6 bottles. I didn't know that the glitters would bleed and give color to the clear nail polish. I think the material they used for the glitter was too cheap that's why... I intended to do a clear glitter polish with just the glitters shining. But, I think it's prettier this way. I like how there's a colorful base and shiny glitters in just one bottle. Thank you for reading! Check out our YouTube channel for more videos. Please follow this blog, too.